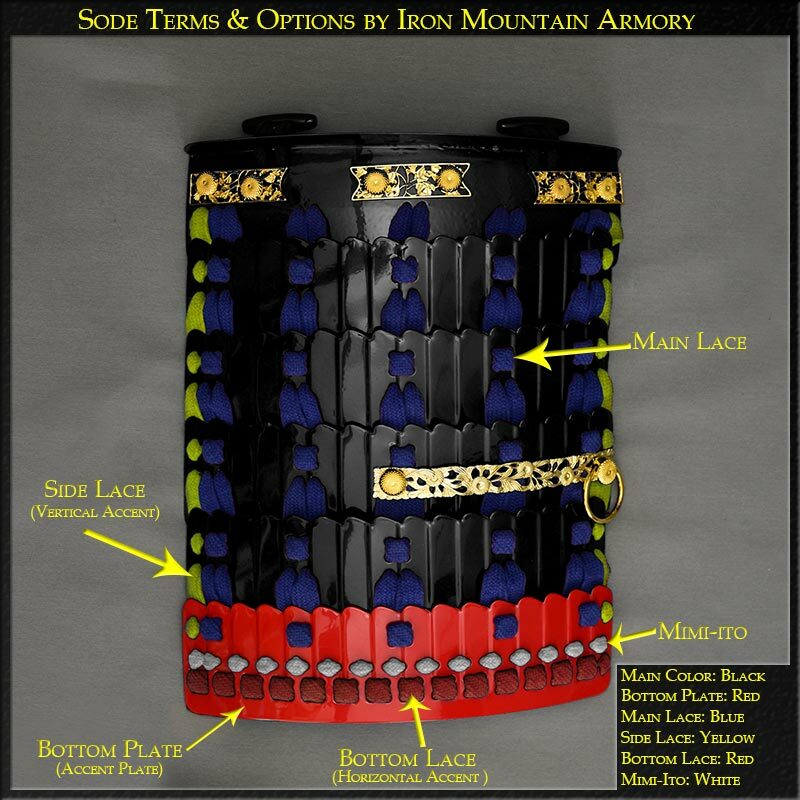 Select the Leather Color and/or Pattern used of your armor. 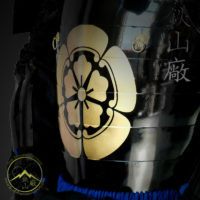 Primarily it will be used on the Haidate (armored apron), above the armor plating, but may also be used on Light or Medium Suneate (shin armor). Select if you would like your armor with a Smooth Finish or Raised Rivets (add rivets to helmet and chest). 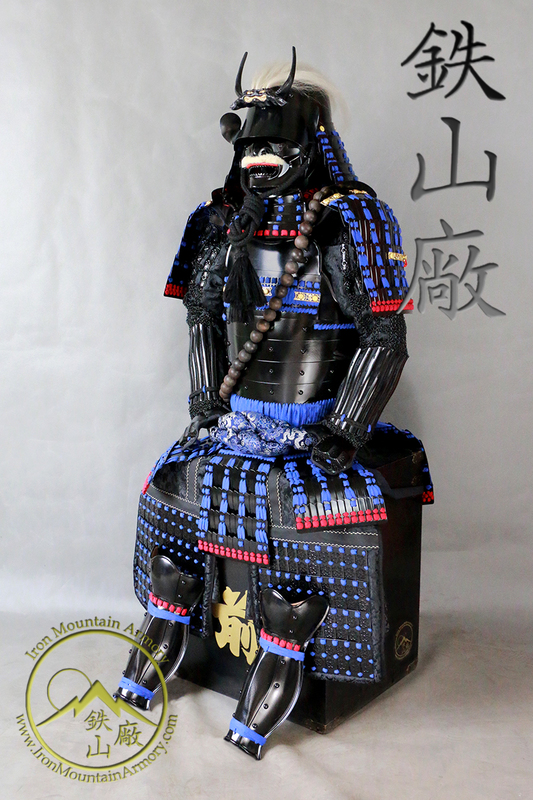 Select to upgrade your standard black lacquer Yoroi Bitsu (storage box & stand) to a natural lacquer Deluxe Bitsu with "dove tailed" joints. 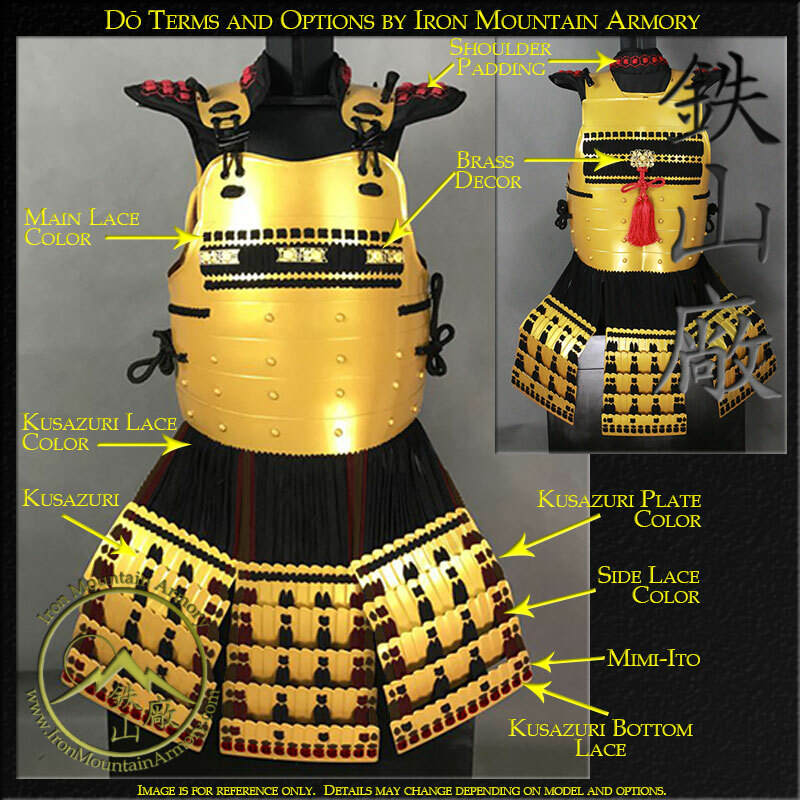 A series of Additional Options for your Armor, which may incur extra costs. 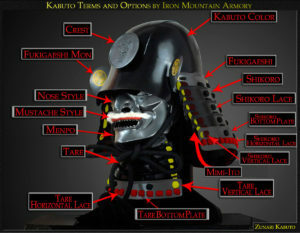 Select the STYLE OF KABUTO (helmet) for your Armor. 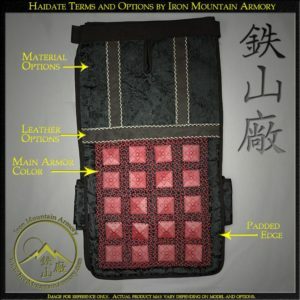 Please click the "ORDER OPTIONS EXPLAINED" link at the bottom left of the page for more details. 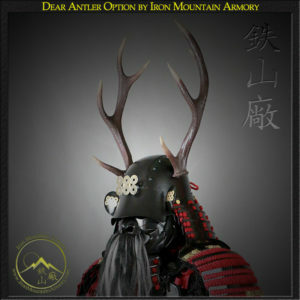 Use this option to add Dear Antlers, Water Buffalo Horns, Wooden Horns or Waki-Date (Flat Wooden Horns) to your kabuto. 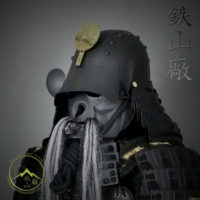 This option is available for Suji-Bachi Style Helmets, and allows you to chose how many plates are used to craft the “bowl” section of your helmet. 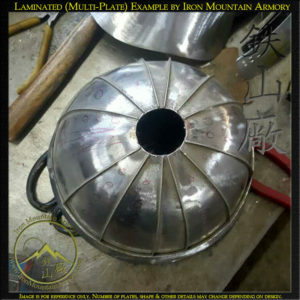 The Standard Option is “Simulated” which means the helmet bowl will be crafted from a single sheet of steel and made to look like it is crafted from several pieces. 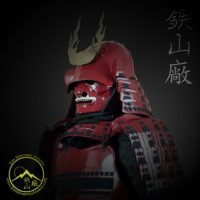 Select to change, customize or remove the front crest (maedate) on the helmet. You can select a standard brass mon (symbol), your own custom mon / logo or a wooden or brass design. 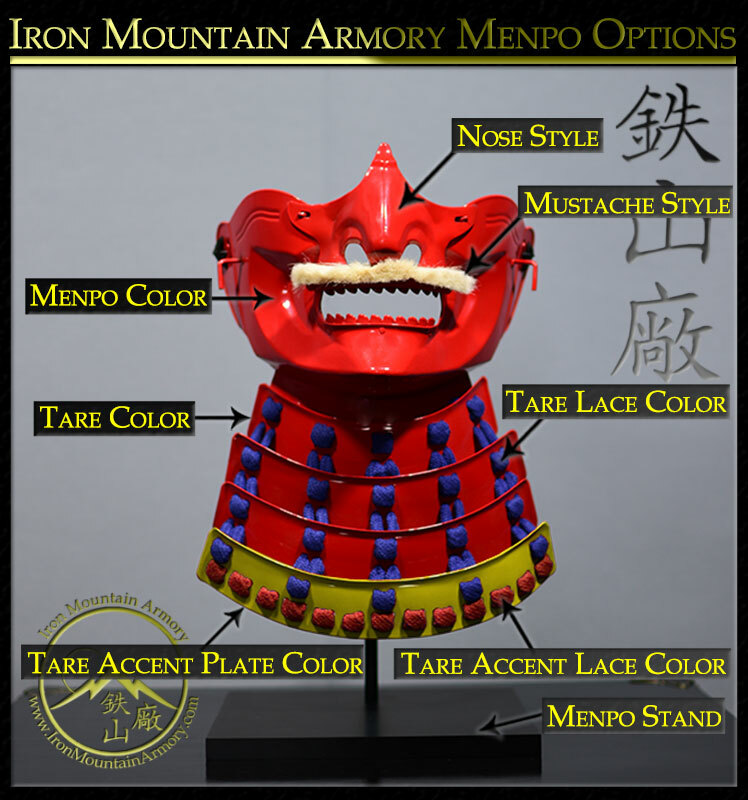 Please reference our "Order Options Explained" page for more details and reference. 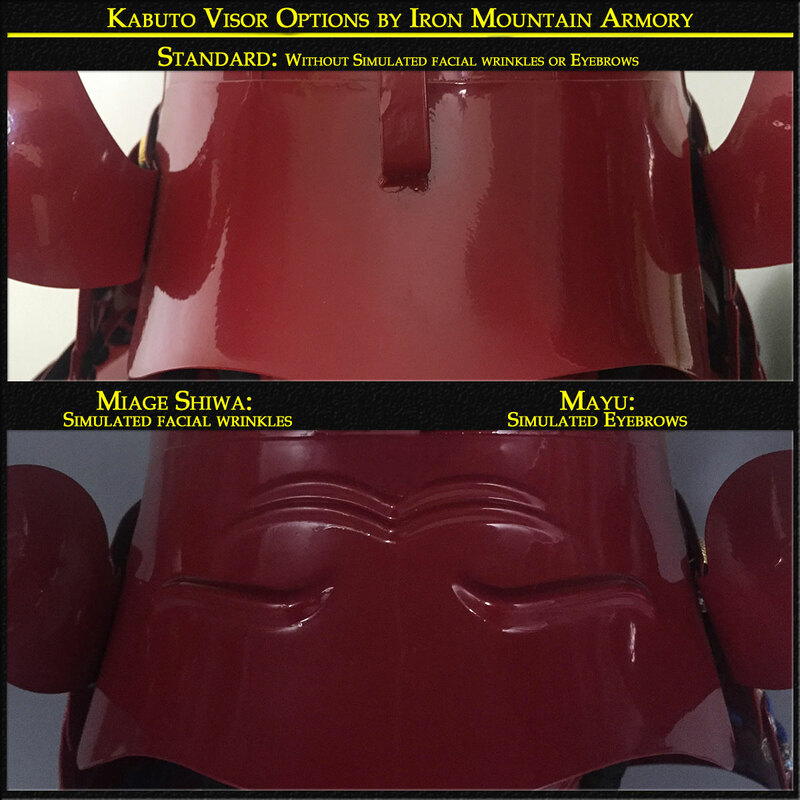 Customize the visor of your helmet with embosed eyebrows and/or wrinkles. 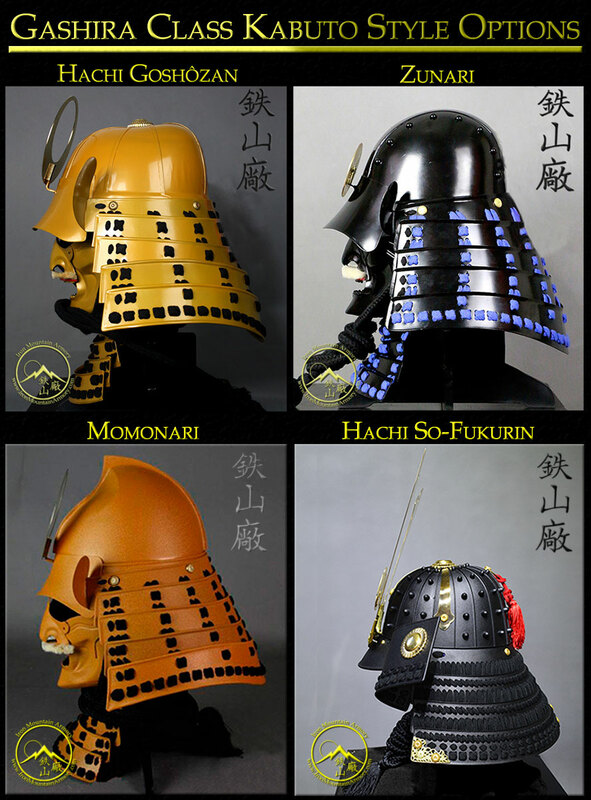 Select your choice of face armor available for your yoroi. Standard and Ressei Menpo option will give you nose and mustache options. Henpo and Hoate are without nose option. 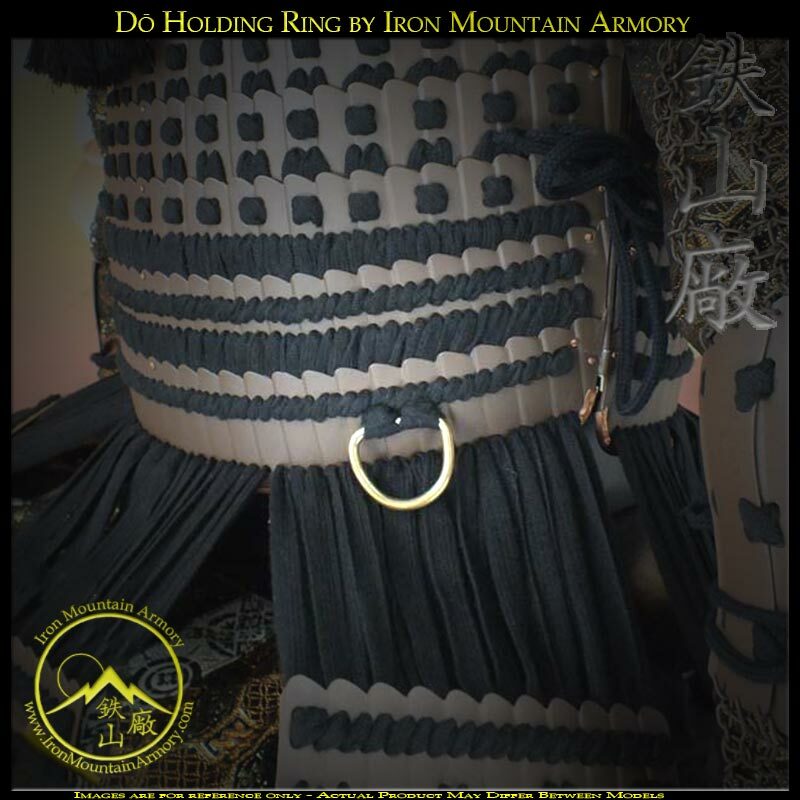 This option changes the detail of your dō by adding 1 or 2 rings to the chest section of your dō, used to display tassels or hold a saihai or gunbai. Add one or two HOLDING RINGS to either side of your Dō (chest plate), used to hold bags, tie a weapon, Gunbai and/or your Sarashi in place. 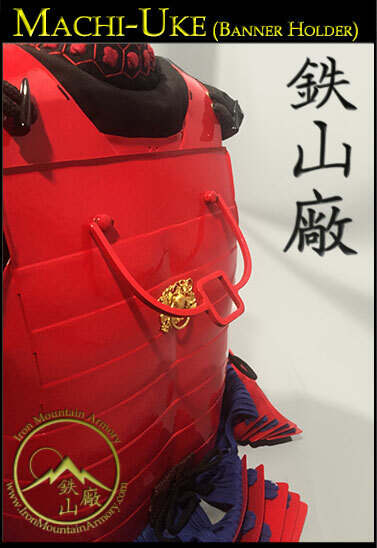 We recommend adding both if you are training in your armor. This option offers to make your kuzazuri (skirt plate) detachable / interchangeable. Commonly used in the past for fast repair / replacement of the kuzazuri, or removable for fast and quiet movement of troops. 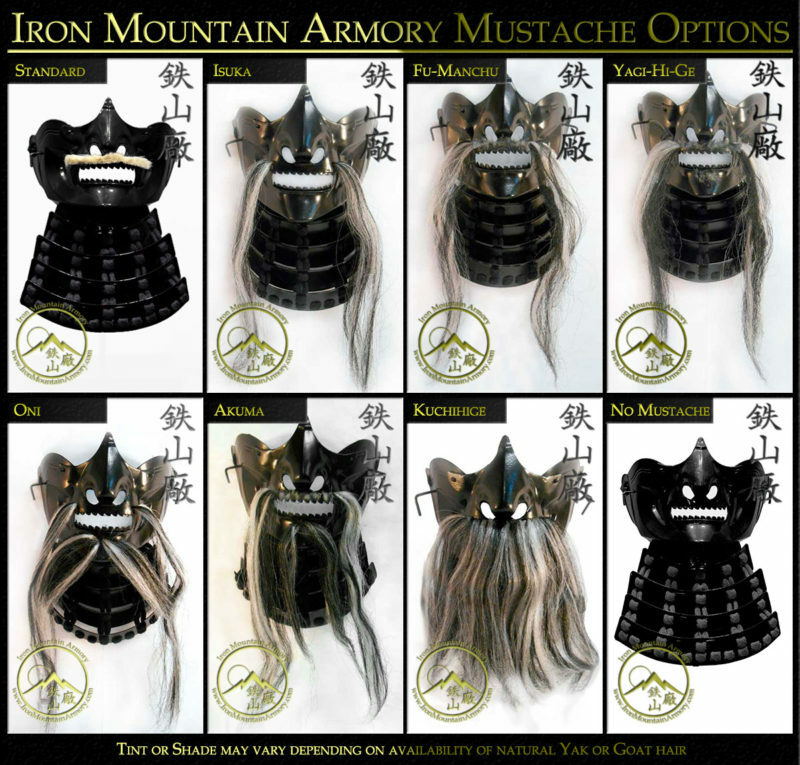 The Sizing Options for our Gashira Armors. Some options that are not standard may entail extra costs. 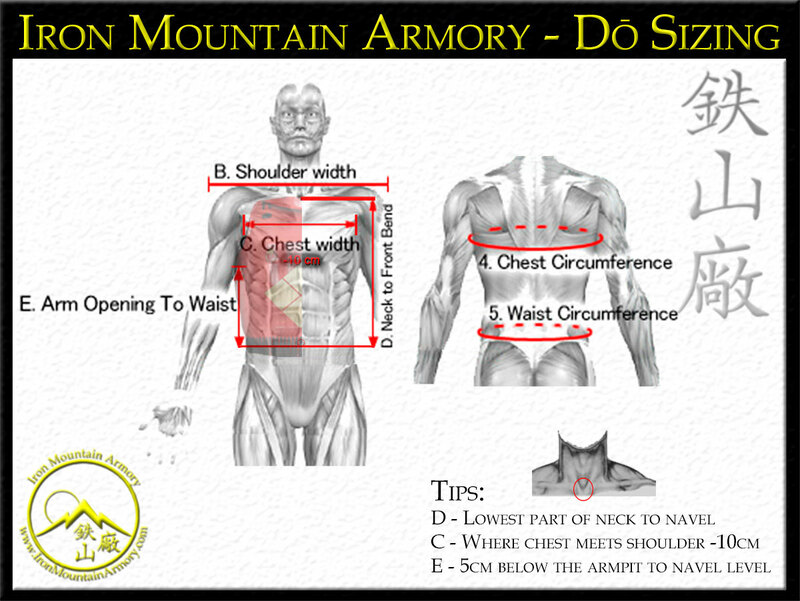 This option changes the girth size of your Dō (chest armor). 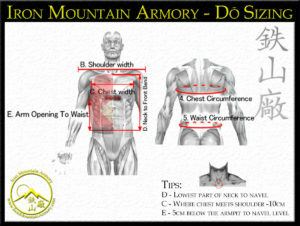 While inhaling deeply, have an assistant wrap the tape measure under your armpits around the largest part of your chest. In the back, you want the tape measure to wrap across your shoulder blades. The tape measure should be snug, but not tight. 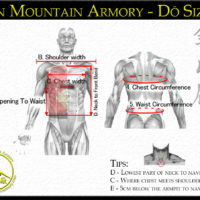 Adjust the armor to your Height. Standard sizing is 170 CM. Select the option closest to your actual height. 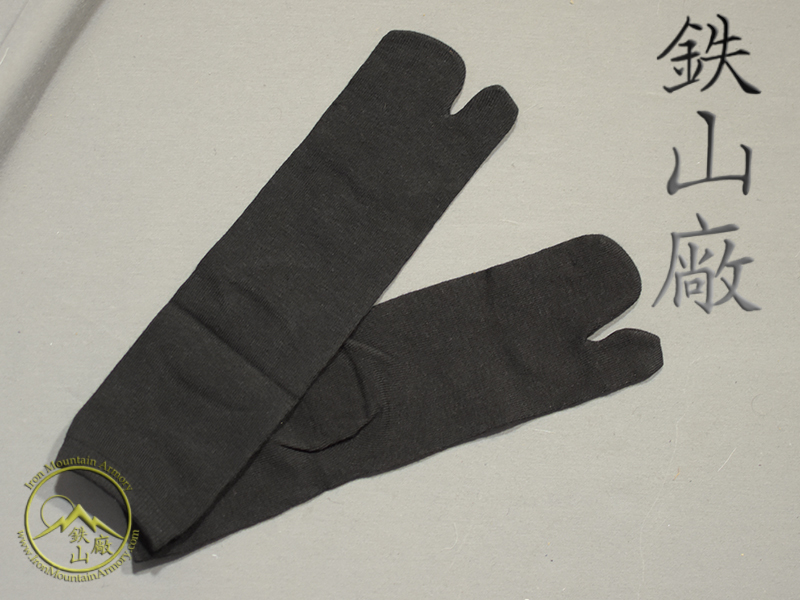 If unsure, select 1 size smaller and enter your actual size in the order comments. 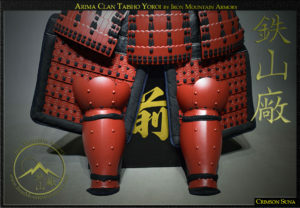 Please select the option that is closest to your weight or next weight level greater, so our armorers can better fit your armor to your body size. 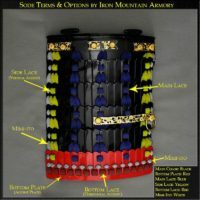 A series of MON OPTIONS (crest) for your suit of armour and it's accessories. 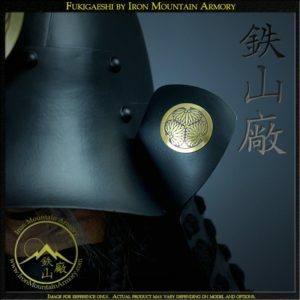 Add a symbol (mon) to the ears (fukigaeshi) of your helmet. This can be a standard mon or custom design you can email us in "Clip-Art" format. 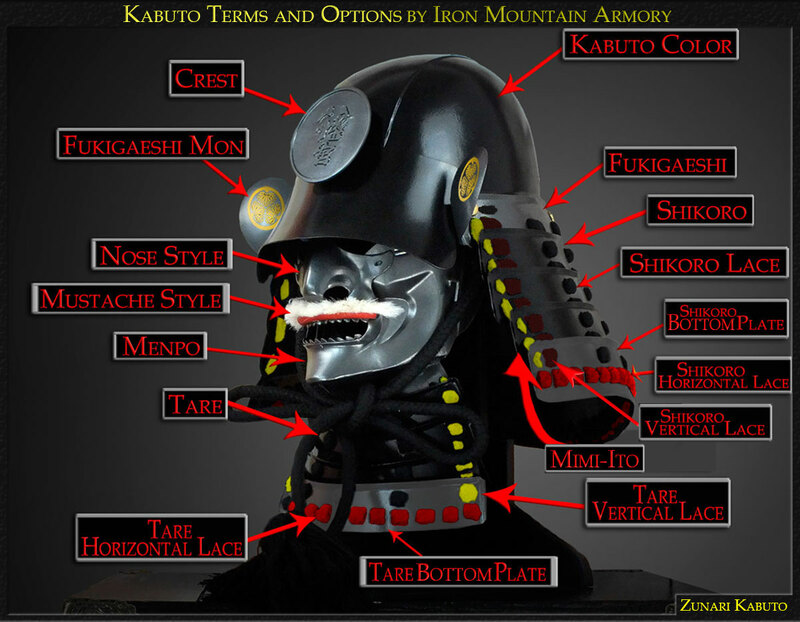 The Accessory Options for our Samurai Dō's, some of which may incur additional charges. 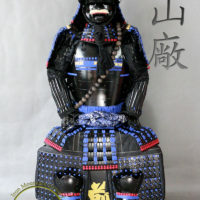 If you require further customization besides what is offered here, please contact us. 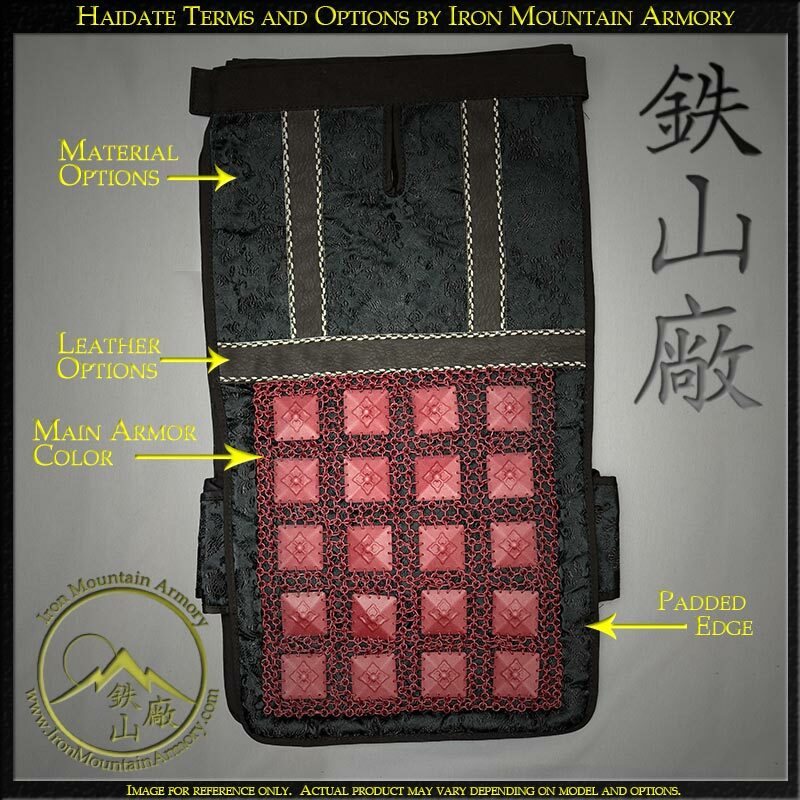 Add a long cloth belt used to hold your dō firmly in place for a more comfortable with and to hold weapons and other accessories to your waist. 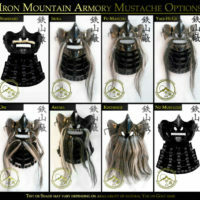 Advanced Options for our Gashira Armors. These are optional, and come with additional costs. These Options will override the MAIN PAINT option for ONLY the parts selected here. 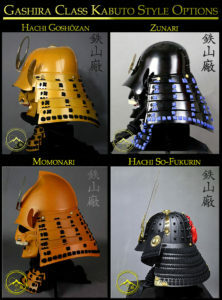 Select the color & finish your Helmet will be painted. 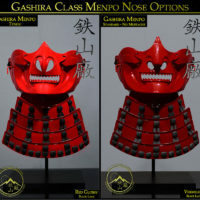 Select the color & finish the ears (fukigaeshi) will be painted. 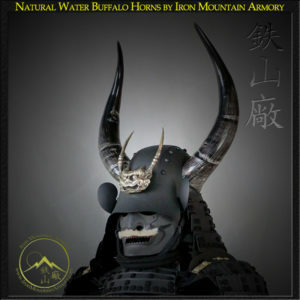 Select the main color and finish your mask and throat guard will be painted. You can paint the bottom plate a different color by using the "Advanced Custom Options" below. 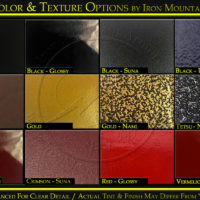 Select the color & finish your Tare will be painted. 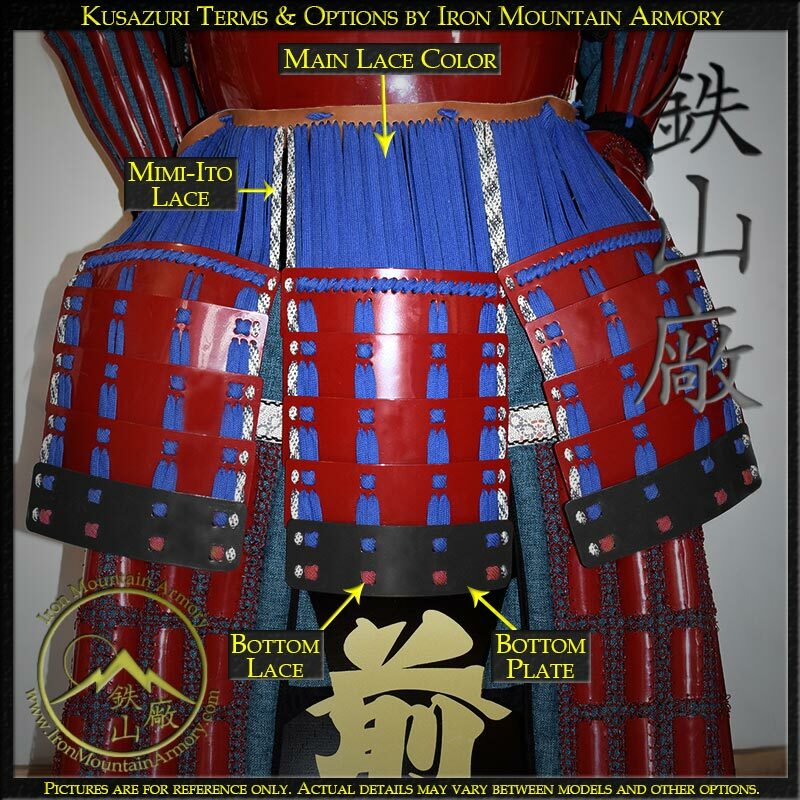 Select the color & finish your Tare Bottom Plate (Suso no ita) will be painted. Select the color & finish your Sode will be painted. 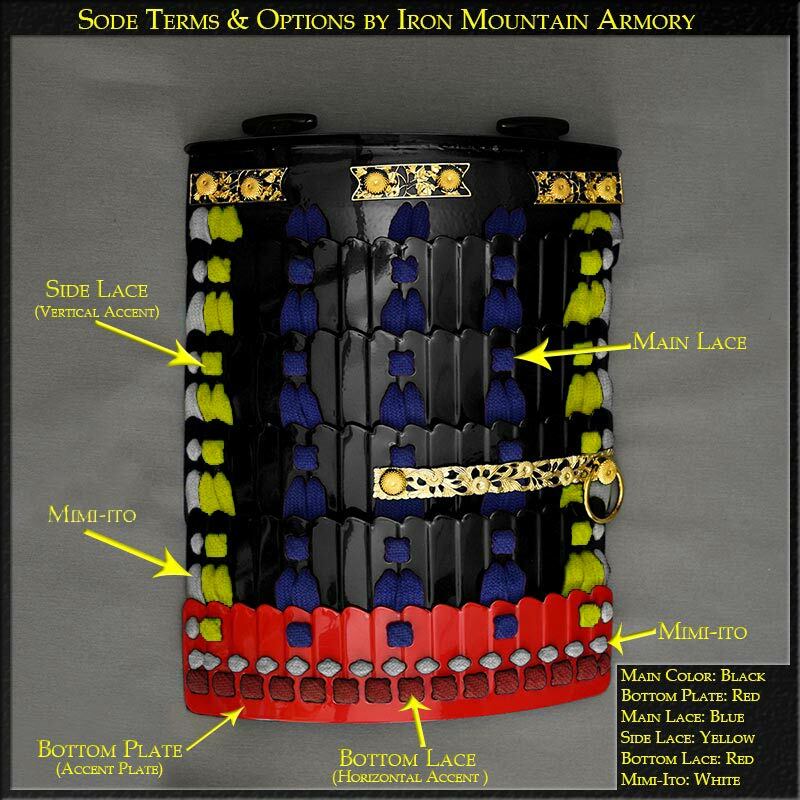 Select the color & finish your Sode Bottom Plates (Suso no ita) will be painted. 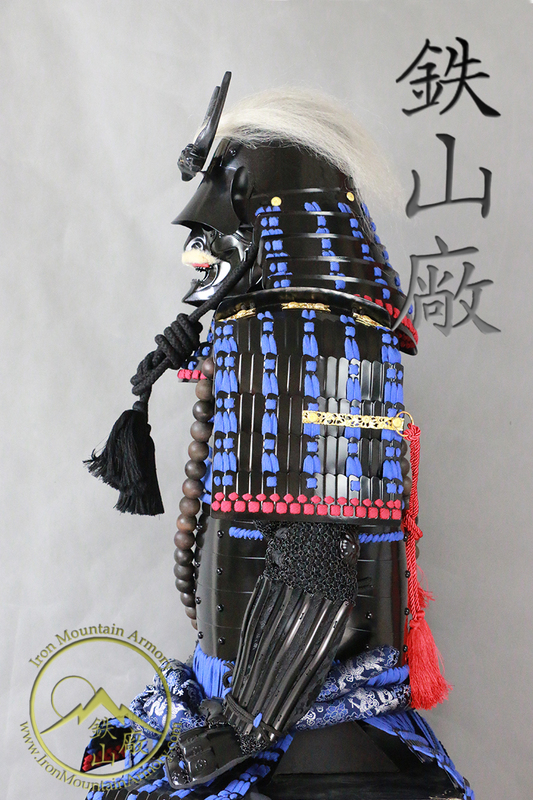 Select the color & finish your Dō will be painted. 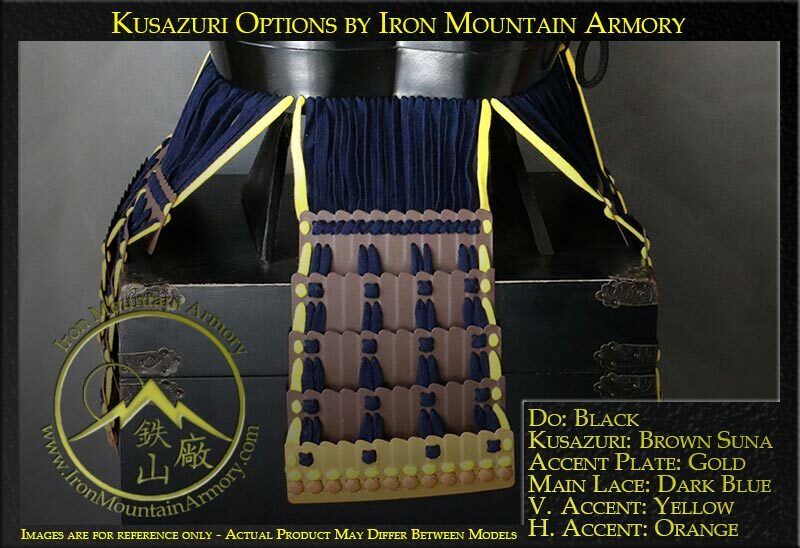 Select the color & finish your Kusazuri will be painted. 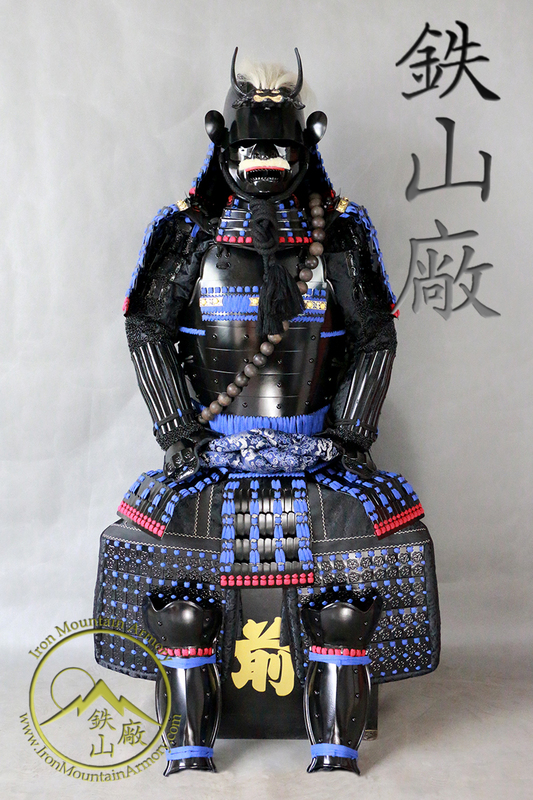 Select the color & finish your Shikoro Bottom Plates (Suso no ita) will be painted. 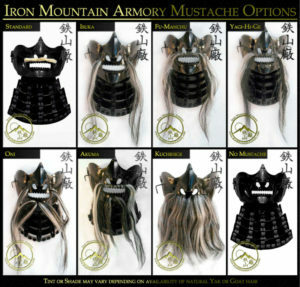 Select the color & finish your Haidate will be painted. 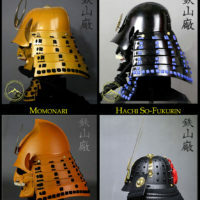 Select the color & finish your Suneate will be painted. Additional options for our Kachi Armors. These are optional, and come with additional costs. 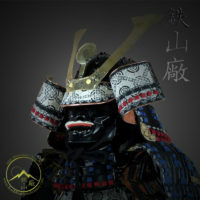 Uesugi Kenshin – “The Dragon of Echigo” ruled the province of Echigo towards the end of the Sengoku Period (Feudal Japan). 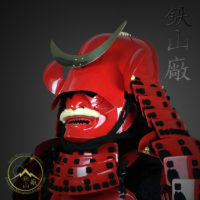 He was widely known for his prowess in both battle and in the courts. 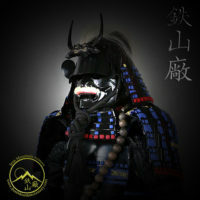 Kenshin earned his reputation and his nickname after several clashes with the legendary “Tiger of Kai”, better known as Takeda Shingen. 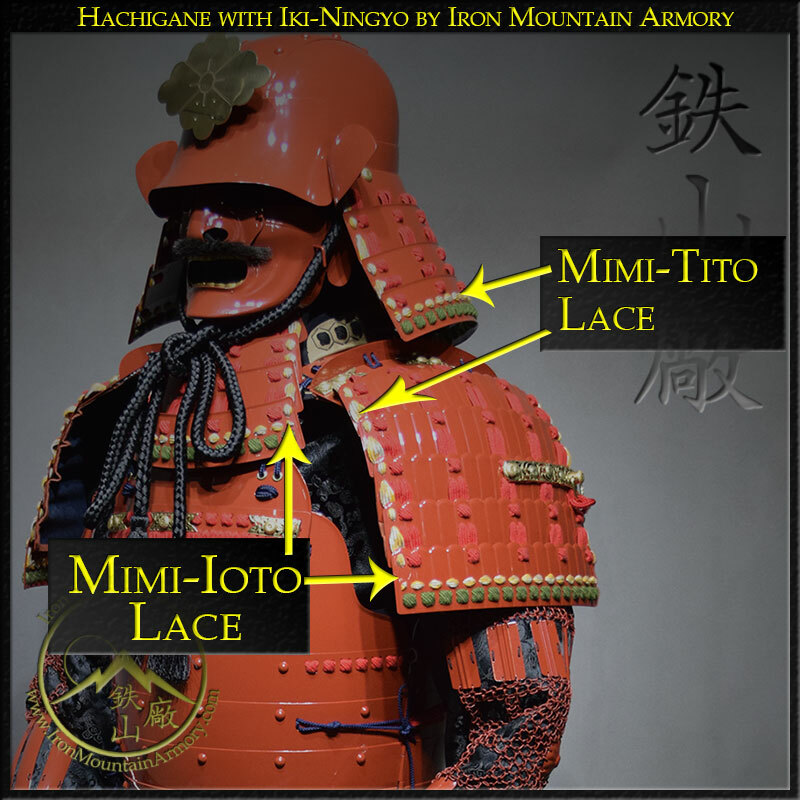 Both may have received these names for their interest in Sun Tzu’s work “The Art of War” and their interest in Chinese culture. 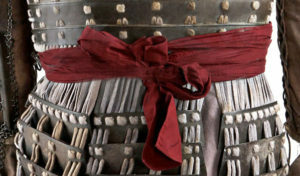 The two Daimyo would clash five times before Takeda would succeed in the victory of Kenshi. 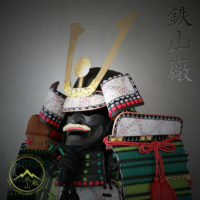 Uesugi Kenshin believed in the Buddhist god of war. Because of this, his men regarded him as the Avatar of Bishamonten, calling Kenshin the “God of War.” His yoroi set comes with both dragon maedate (crest) for luck and large Buddhist prayer beads for blessing. Iron Mountain Armory will craft your Gashira Armor using natural materials and traditional designs with the implementation of modern tools and techniques. 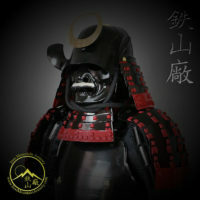 We offer the option to change the style of the kabuto (helmet), mask menpo and suneate (shin guards). 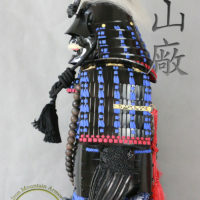 The standard colors of Uesugi Kenshin’s Dragon Armor are Black, as the dominant color with blue lacing. 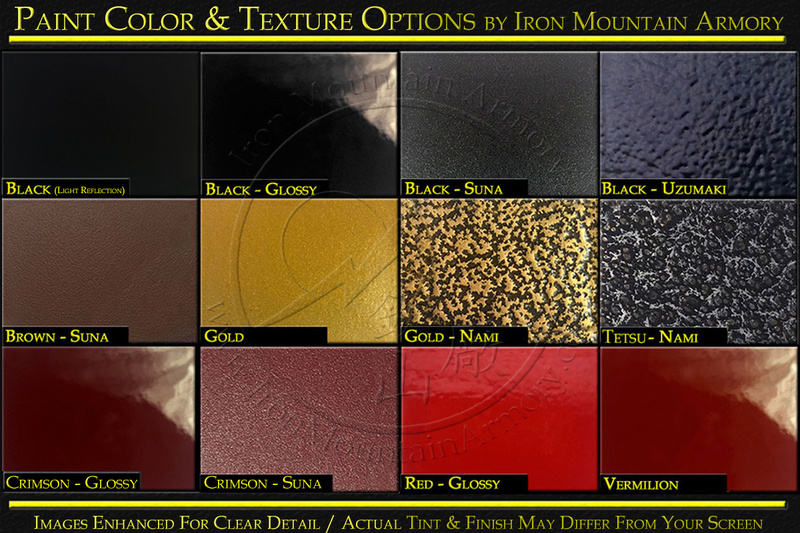 We offer the ability to customize it however you like, including paints, laces, material and leather in multiple colors and styles. 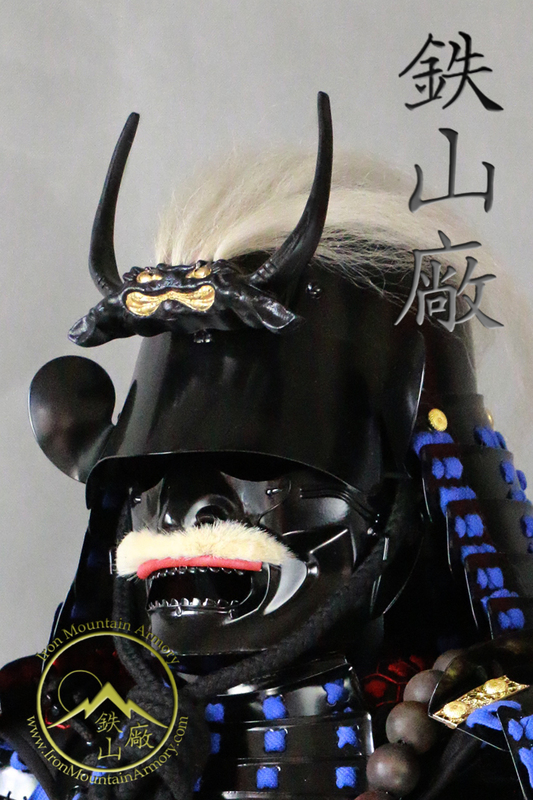 This beautiful samurai yoroi set is also offered in both Kachi and Taisho as well. Full sized and fully functional. Variation of paint, high quality cotton odoshi colors and traditional features. Includes display box and stand. 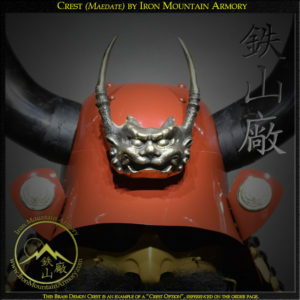 The skilled katchû-shi at the Iron Mountain Armory handcraft this product at the time of your order. Please allow 4 to 5 weeks for crafting of this item. 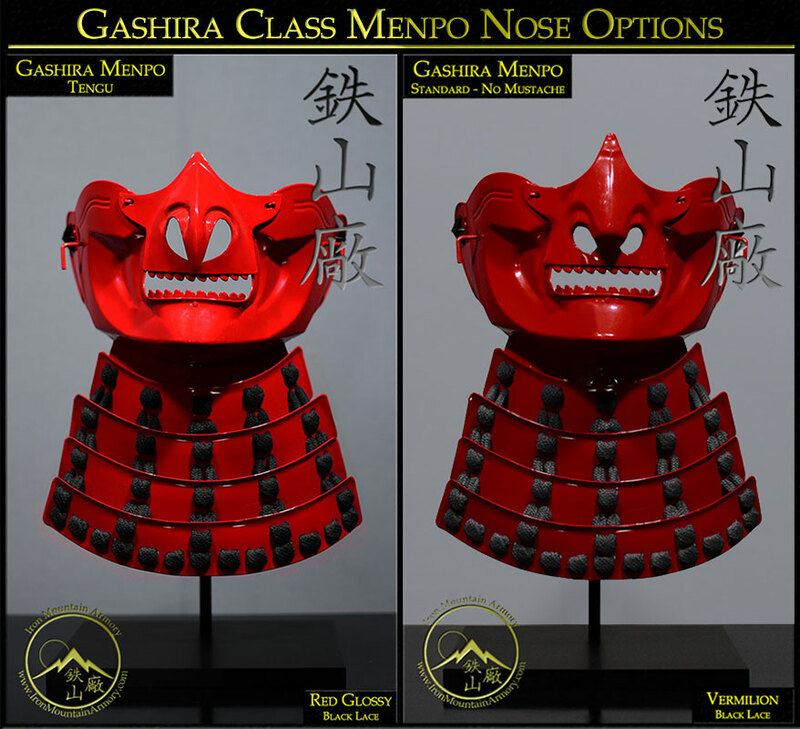 To see the class differences, please view Kachi Vs. Gashira. 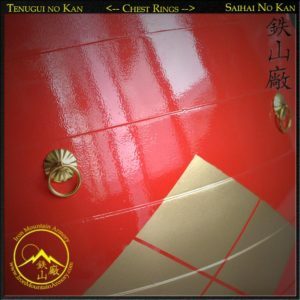 Wow wow wow! Amazing detail and quality. 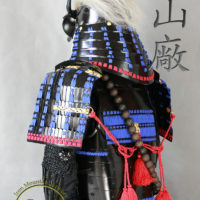 I am so very impressed with the quality and detail of the armor. Even the display box looks amazing! 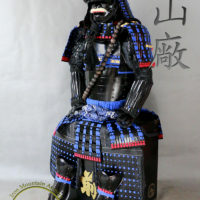 Everyone loves the armor as it goes perfectly in my office. 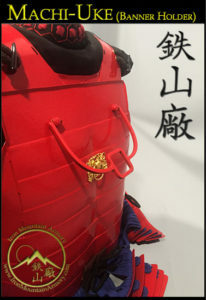 The armor is so well designed, it fits great and you hardly notice the weight while wearing it. 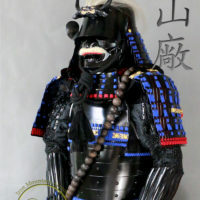 I can actually wear the armor all day. 5 stars are well deserved and I would recommend this armor to anyone looking for quality armor at a very reasonable price compared to Japan’s prices. 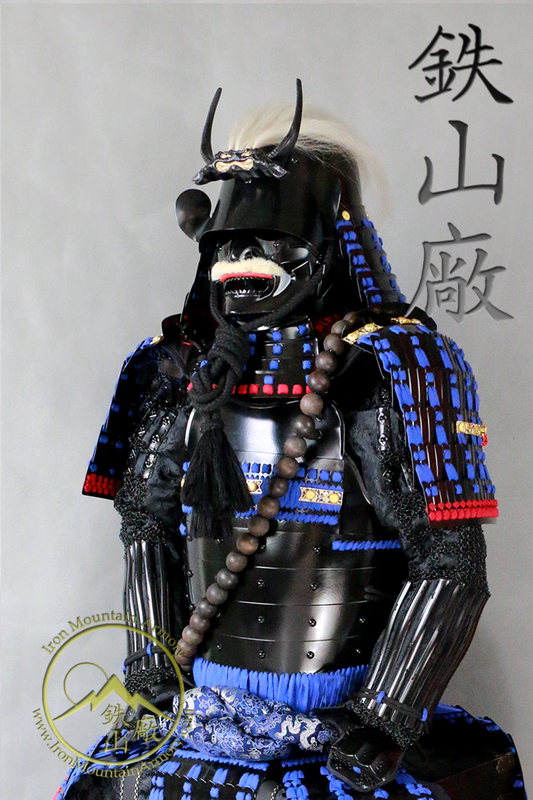 I received the armor and am extremely pleased with it. I have set it up per the instructions and it looks terrific! 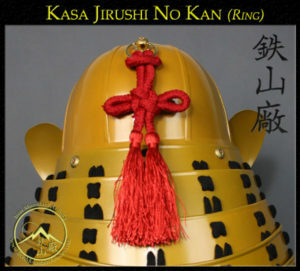 I suspect I’m too tall to fit into it as is but perhaps in the future when I order a second set it could be customised a little for a perfect fit. 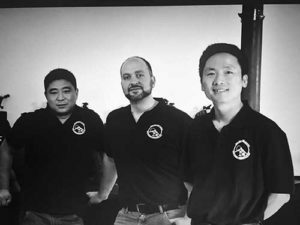 I am very happy with the product and look forward to doing business again in the future! as the other comments say this armor is beautiful. 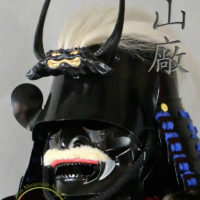 great quality I am very happy and outstanding customer service. 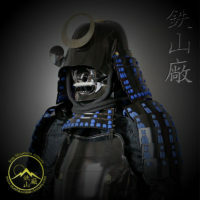 My armor arrived today. I can not adequately express how happy I am with it. I was only able to put it on and walk around a little today and than set it up for display, but tomorrow I will be sure to give it a more thorough test. Everything seems great though from what time I spent wearing it and it looks perfect on display. I would also like to say thank you for the extra touches you did, I really appreciate it. 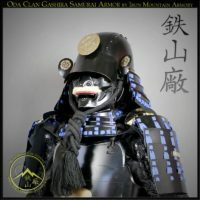 I am very happy with everything and I will be sure to spread the word as best I can. 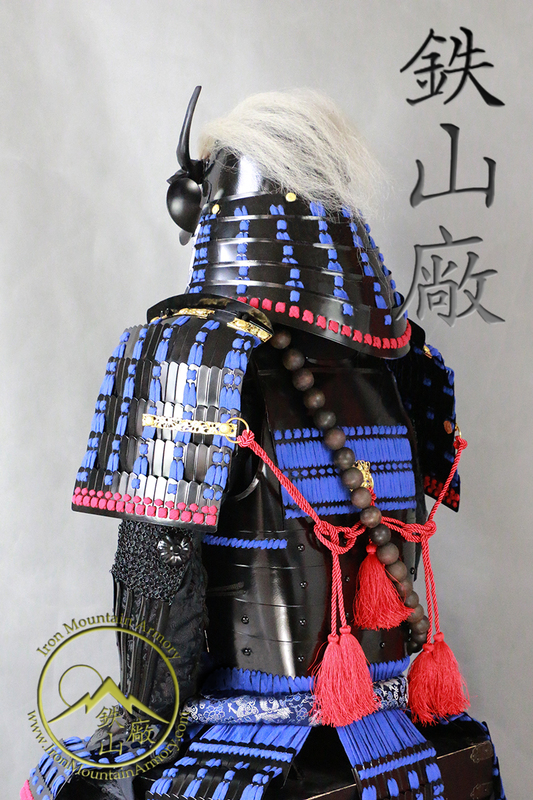 The pictures don’t do this armor justice. 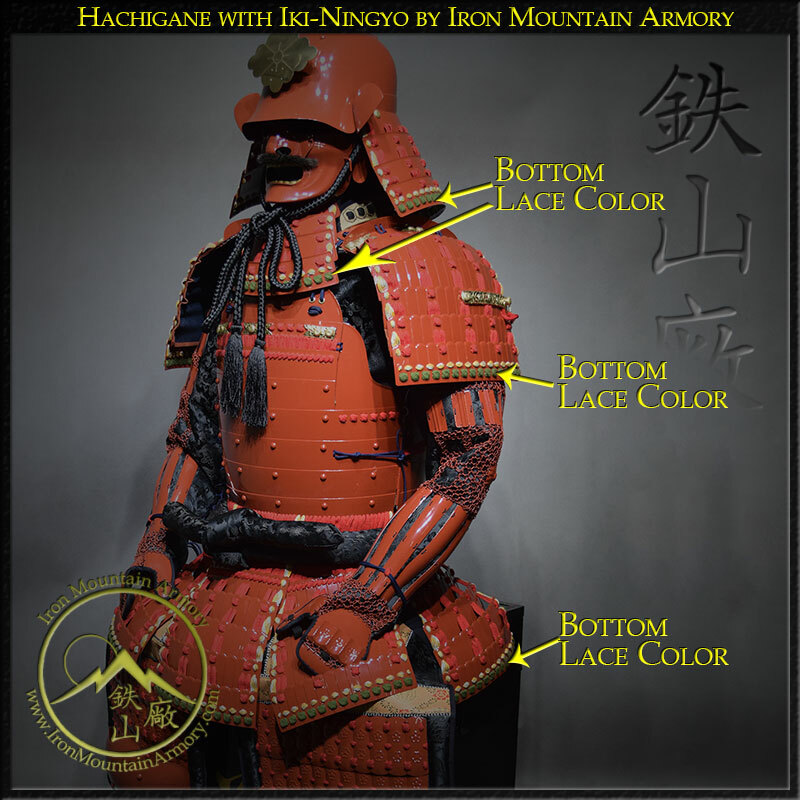 The armor looks amazing and gets a “WOW” from just about everyone who steps into our waiting room. 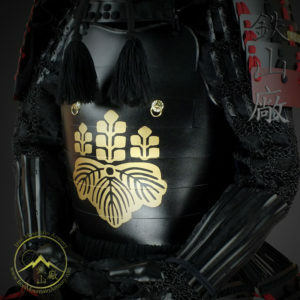 Clients stand around the armor while waiting giving us a new prestige of success. I am loving this armor. 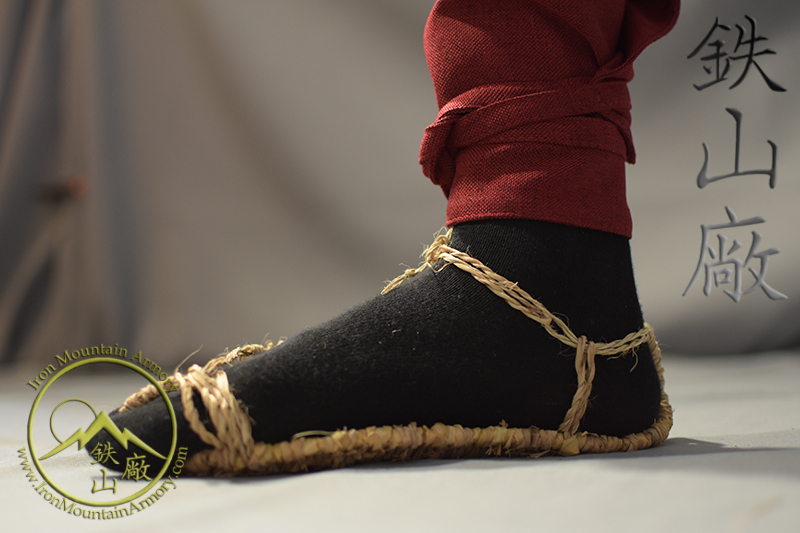 It looks amazing, a work of art – from the overall design down to the little details. The quality is fantastic. It also fit perfectly. 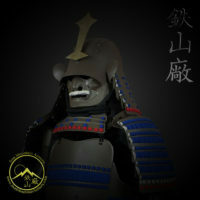 I’d like to note that the customer service I received was great, helping walk me through getting the armor sized right.